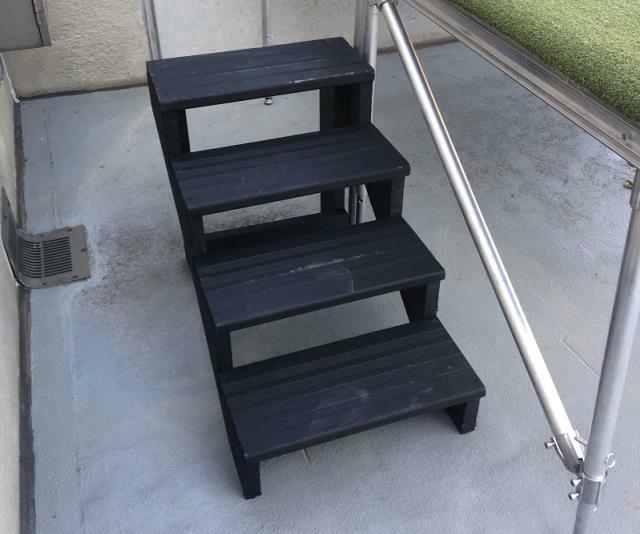 Wood stage steps painted flat black. Ideal for stages 28" tall to 35" tall. Cannot be leveled, so steps must be placed on flat and level surface. * Please call us for any questions on our 4 tread wood stage steps 28 inch in St Petersburg FL, serving Clearwater, Gulfport, Pinellas Park and the Tampa Bay Area.